If you’re searching for a gently used Volkswagen car or SUV that you can rely on, come shop the incredible Certified Pre-Owned VW inventory at Kuhn Volkswagen. Our Volkswagen dealership near St. Petersburg, FL, is fully stocked with all your favorite VW models that have been stamped with the Certified Pre-Owned distinction, which means these vehicles meet the highest standards possible for a used car or SUV. From the stunning Volkswagen Tiguan SUV to the stylish VW Jetta sedan, you can choose amongst a wide array of models that have passed a meticulous 100+-point inspection process including examinations of the brakes, transmission, engine, tires, steering and more. We even sell Certified Pre-Owned TDI Volkswagen vehicles, so you can enjoy incredible towing power and increased performance due to an innovative powertrain with Turbocharged Direct Injection. What is a TDI Engine? TDI (Turbocharged Direct Injection) powertrains are designed to use direction injection as opposed to older diesel models that use indirect injection. Due to this specification of an added turbocharger, you’ll yield greater torque and horsepower as you cruise across Tampa, St. Petersburg and beyond. What are the Benefits of Buying a Certified Pre-Owned Volkswagen? 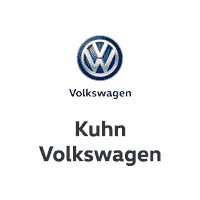 Visit Kuhn Volkswagen to learn more about our Certified Pre-Owned inventory and benefits. And be sure to ask about our CPO TDI Volkswagen vehicles if you’re looking for an extra boost in power! * For all CPO limited warranties: Repairs covered by each limited warranty will be performed at no additional charge after a deductible of $50 per dealer visit. See owner’s literature or dealer for each warranty’s exclusions and limitations. For CPO TDI Diesel vehicles only: Vehicles also carry a TDI Extended Emissions Warranty (no deductible).